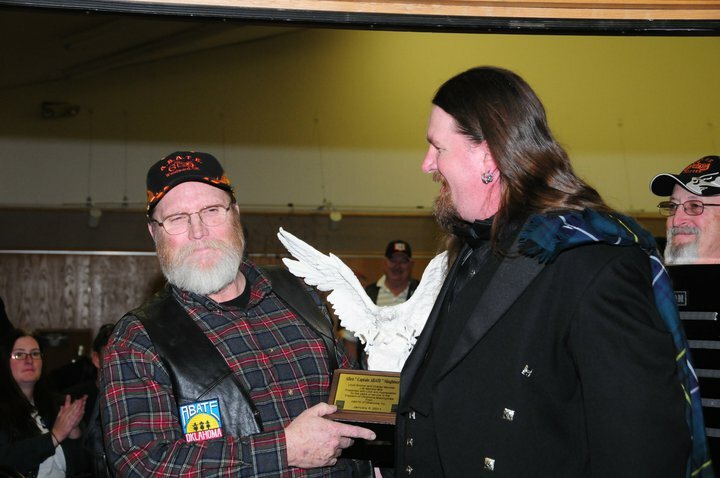 #0001 - Michael "Tiger Mike" Revere (COD Chapter), inducted into the "Life Member" category in 2010, a member of ABATE of OK since 1990. 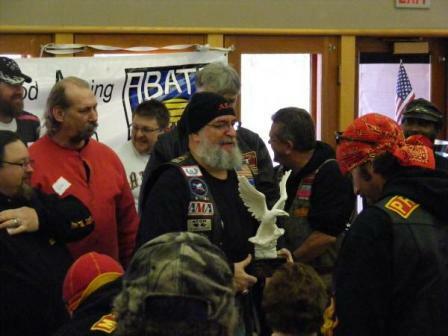 #0002 - Allen "Captain ABATE" Singhiser (NW69 Chapter), inducted into the "Life Member" category in 2011, a member of ABATE of OK since 1990. #0003 - Paul Brinker (Tulsa Chapter), inducted into the "Life Member" category in 2012, a member of ABATE of OK since 1990. 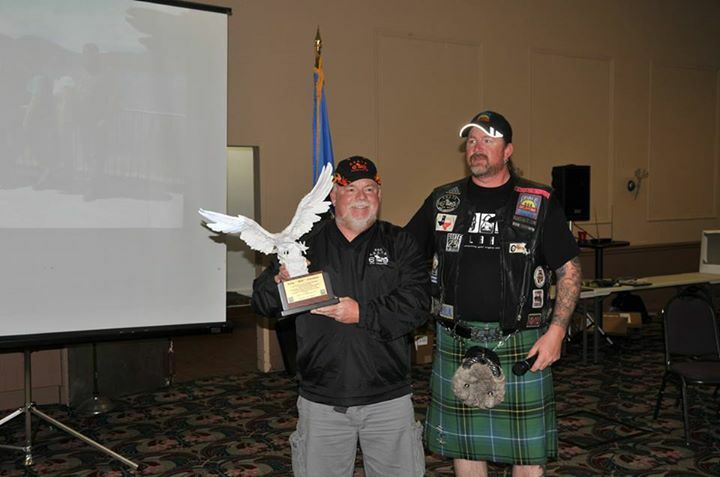 #0004 - Mitchell "Ripper" Bailey (COD Chapter), inducted into the "Life Member" category in 2013, a member of ABATE of OK since 1990. #0005 - Larry "Doc" Glennie (NW69 Chapter), inducted into the "Life Member" category in 2014, a member of ABATE of OK since 1992. 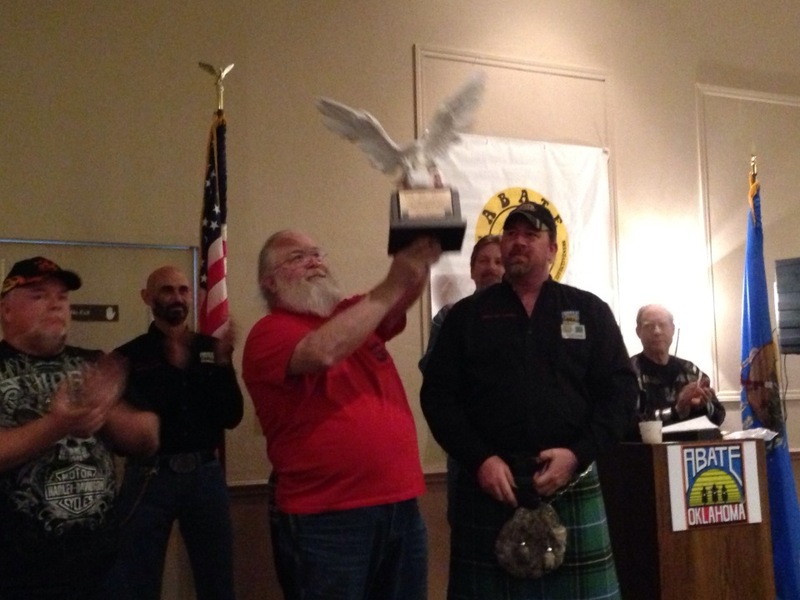 #0006 - Jerry "Red" Goodner (NW69 Chapter), inducted into the "Life Member" category in 2015, a member of ABATE of OK since 1990. 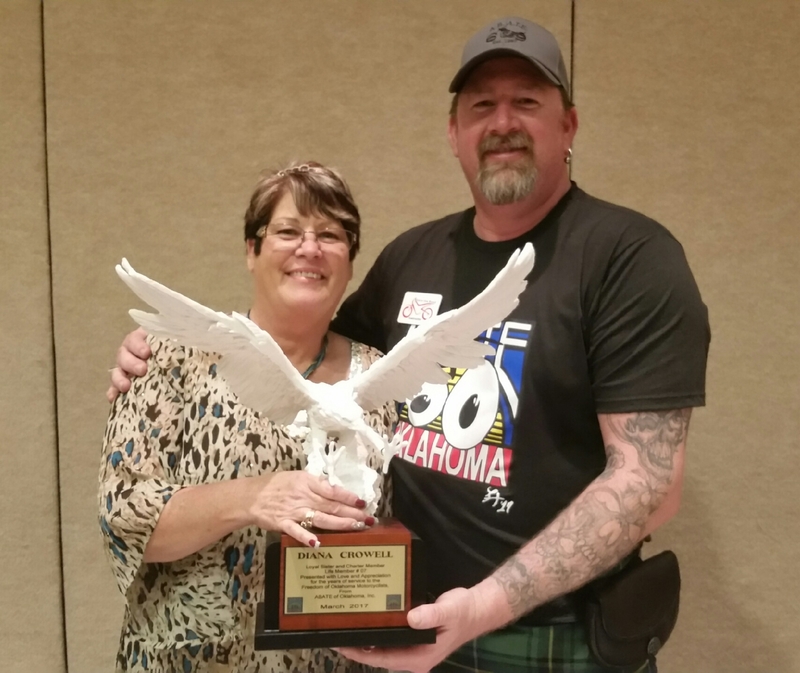 #0007 - Diana Crowell (Lakes Area Chapter), inducted into the "Life Member" category in 2017, a member of ABATE of OK since 1991. 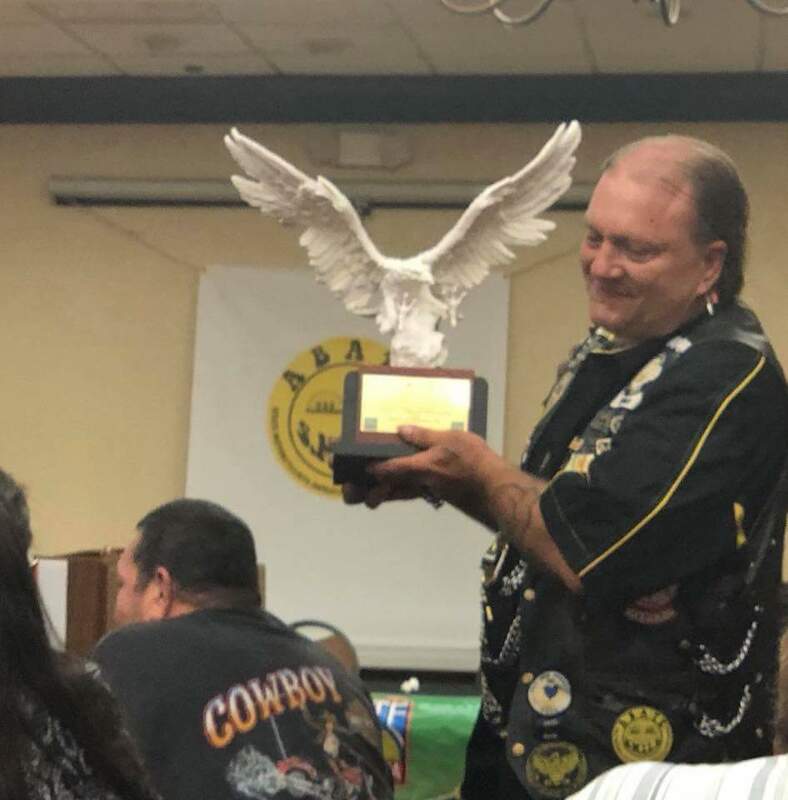 #0008 - Chuck Seely (Lakes Area Chapter), inducted into the "Life Member" category in 2018, a member of ABATE of OK since 1991. 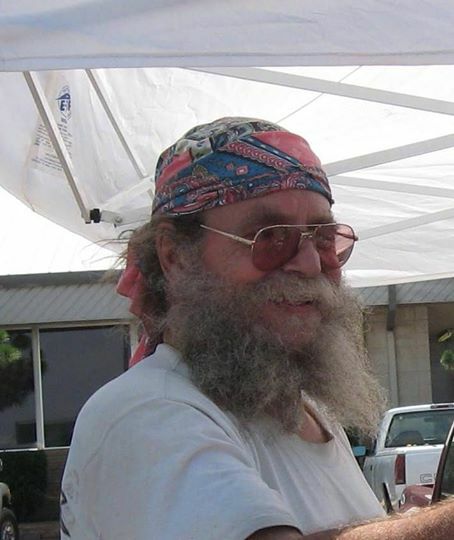 #0009 - Jack King (Tulsa Chapter)., inducted into the "Life Member" category in 2019, a member of ABATE of OK since 1990.